Hunkered down in his childhood bedroom in Seattle's worn-out Lake City neighborhood, idealistic but self-serving striver Lane Bueche licks his wounds and hatches a plot to win back his estranged Manhattanite wife. He discovers a precarious path forward when he is contracted by a wealthy adoptive couple to seduce and sabotage a troubled birth mother from his neighborhood. Lane soon finds himself in a zero-sum game between the families as he straddles two cultures, classes, and worlds. Until finally, with the well-being of the toddler at stake, Lane must choose between wanting to do the right thing (if he could only figure out what that is) and reclaiming his idea of privilege. THOMAS KOHNSTAMM was born and raised in Seattle. He is the author of the memoir Do Travel Writers Go to Hell? and writes for a variety of video and animation series. 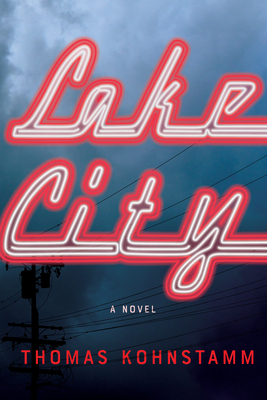 Lake City is his first novel. He lives in Seattle with his wife and two children.